Western Sydney musicians have established Parramatta’s only auditioned symphonic choir, River City Voices, and timing is everything. Your support now is critical to ensure RCV is here to stay beyond 2019! Want to be a visionary backer of Parramatta’s exciting new arts organisation, River City Voices? Then act now to double your impact! Exactly a year ago, western Sydney arts practitioners came together to meet the community’s demand for higher tier cultural organisations and performance events closer to home and established RIVER CITY VOICES, a symphonic choir bridging community and professional performance. Led by renowned Artistic Director and Principal Conductor, Dr SARAH PENICKA-SMITH, RCV is getting ready to launch its inaugural 2019 season with a bang, when it presents “Carmina Burana”, a community participatory “Come & Sing” extravaganza involving 100 singers and musicians. In August, the choir will premiere new arrangements of Japanese anime music for the Sydney Cherry Blossom Festival, and present a massed Messiah in December. But did you know that income from ticket sales will only cover 25% of operational and artistic costs? Your critical donation now will support our Artistic Programs and secure tenure of our fabulous Artistic Director beyond 2019. AND every dollar you donate, will be DOUBLED thanks to our Creative Partnerships Australia Plus 1 grant! We have laid strong foundations for the choir, brought industry representatives on board, recruited choristers, and started developing multi-disciplinary partnerships to explore stylistically diverse, locally responsive, and cutting-edge programs of traditional and newly commissioned choral works. Under Sarah’s continued leadership, we can confidently plan for the future, advance our partnerships and collaborations, and facilitate professional skills development and community capacity building activities to promote greater access to the joys of choral singing. We can continue to build an organisation that’s professional, equitable and sustainable, one that will be a permanent contributor to the artistic landscape of western Sydney. The more we raise, the more we reveal our choir! 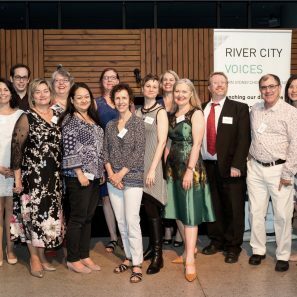 Based in Parramatta, River City Voices is a brand new choral organisation established by Western Sydney arts practitioners, to meet the community’s demand for higher tier cultural organisations and performance events closer to home. Led by renowned choral conductor Dr Sarah Penicka-Smith, a recent attendee at the prestigious Hart Institute for Women Conductors (Dallas Opera), our vision is to become a permanent player in the artistic landscape of western Sydney. How? 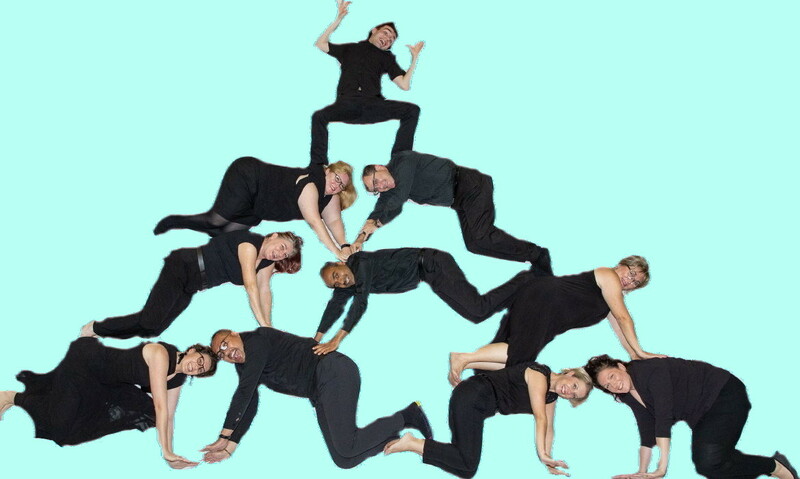 Through presenting stylistically diverse and locally responsive programs, and facilitating community capacity building activities that improve musicianship, increase confidence, and promote greater access to the arts.